Now, we often say that quality and excellence are a journey, not a destination. How do you stay on the right path amid changing times and leaders? Sometimes the job isn’t only continuous improvement, sometimes it’s improvement sustainment. Stopping any backsliding. The C in DMAIC. Requires Maintenance of process, people and infrastructure. Processes need to be watched, data exchange and feedback needs to be sought from downstream customers and upstream suppliers. And then adapts to changes from both and elsewhere in the marketplace. People require reinforcement and may need performance support for infrequent and/or difficult tasks. Infrastructure use may require that data is updated, that worn equipment is tuned and consumables are replaced, and that all is adaptabe to inevitable requirements to change. The design of the Infrastructure needs to be very robust in many situations, anticipatory of likely changes, as many as possible anyway. Maintenance of all of these requires something to calibrate them all by. We wish it were simple. We wish it were easy. We wish that it could be “one and done” and static. The only way to “stay on the right path amid changing times and leaders” is to broadly share the vision and metrics and responsibilities – and most importantly the changes, the evolution, and the rationale for those changes. I might call that Continuous Alignment. Just like the wheels of your car. 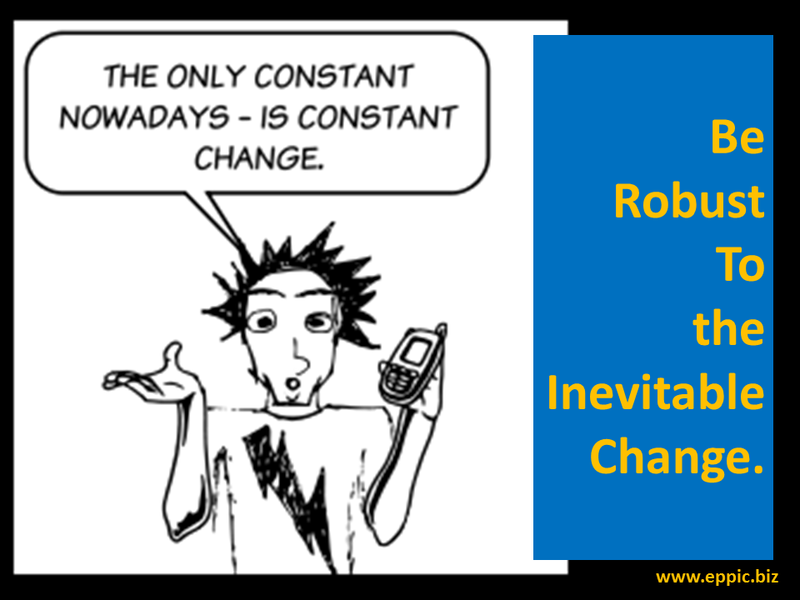 For the only constant nowadays is constant change. All Leaders would need to be on board – and capable of as well as open to change. Most employees would need to be on board – and capable of as well as open to change. We might assume that if they were capable of reaching the peak, as in Peak Performance, however defined, that they may have the ability to sustain the improvements. Do they and you have the right Processes in place? Do they and you have the right Practices in place? Do they and you have the right Resources in place? And are they and you Avoiding Fads and other Foo Foo? And will they and you keep all of that “evergreen” enough to be continuously relevant and competitive?